ARO Barrackpore Army Rally Bharti 2019: Army Recruitment Rally Bharti Barrackpore, 24 Parganas (North), Hoogly, Bankura and Purulia districts of WB State. Barrackpore army recruitment rally 2019. Online registration/ online application army rally bharti ARO Barrackpore. 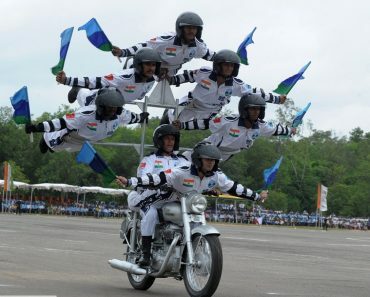 Barrackpore army rally bharti physical height, chest, weight, age, qualification, pft, pst, medical, written exam, ARO Barrackpore army bharti rally date and notification details given below. 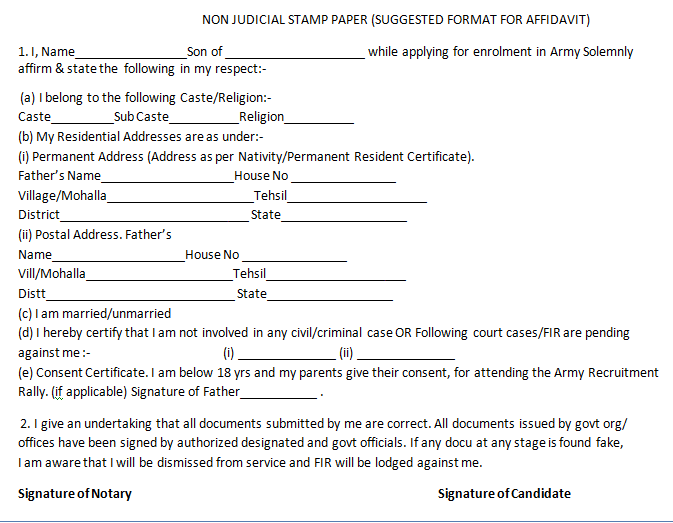 Download army rally admit card. Review of medical unfit candidates. Declaration of result of written test. 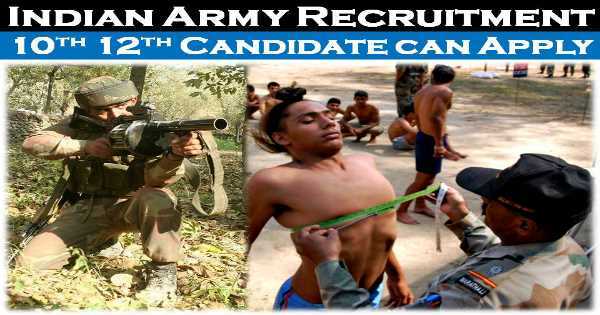 Final selection for army recruitment and dispatch of candidates to centres for soldier basic training. Age limit for Soldier General Duty: 17 ½ to 21 years. Age limit for Soldier Technical, Soldier Clerk, Soldier Clerk Store Keeper Technical, Soldier Nursing Assistant and Soldier Tradesmen category: Age for all these category should be between 17 ½ to 23 years. Age limit for Havildar Education: Between 20 to 25 years of age. Age limit For Survey Automated Cartographer (Engineers): Between 20 to 25 years. Age limit For Junior Commissioned Officer Religious Teacher: 27 to 34 years. Age limit For Junior Commissioned Officer Catering: 21 to 27 years. Note: Age for Relation Recruitment: Variation up to 366 days in date of birth in Relationship Certificate and Education Certificate is acceptable as minor variation, however, any variation beyond 366 days will be treated as a major variation and candidate will NOT be eligible for enrolment under UHQ Quota. They may however apply through nearest AROs for selection as Open Cat candidates. Height for Solder GD, Soldier Pharma, Soldier Tradesman, JCO Catering (ASC) / Survey Automated Cartographer (Engineers) and Havildar Education category – 169 cm or 1.69 meter. Height for Soldier Technical and Soldier Nursing Assistant– 169 cm or 1.69 meter. Height for Soldier Clerk and Soldier store keeper technical category–162 cm. Height for Junior Commissioned Officer Religious Teacher–160 cm or 1.60 meter. Height for TA Bharti for all state-160 cm for all candidates. Weight: Weight for all above categories should be 50 Kg. Education Qualification Soldier GD: Minimum Education Qualification for Sol GD category candidates will be High School or Metric or SSLC or 10th Class pass from Education Boards/ recognised Institutions. Percentage of Marks for Sol GD: A candidate must score minimum 33% marks in each subject and 45% in aggregate for recruitment as Soldier General Duty. Additional Subjects: Additional Subjects are not applicable for calculation of percentage in Soldier GD category. Higher Qualifications 10+2 Sol GD: Intermediate or 10+2 pass or more qualified candidates need not have 45% marks in High School/ Metric/ SSLC /10th class. Education Qualification Soldier Technical: 10+2 / Higher Secondary /Intermediate exam passed in Science with Physics, Chemistry, Maths and English with 50% marks in aggregate and 40% marks in each subject from Education Boards/ Institutions recognized. 3 Years diploma in Engineering (Mech, Elect, Electronics, Auto Mobiles/ Computer Science from a recognized Polytechnic /Institute). Should have secured 50% marks in each subject and 60% marks in aggregate in Class XII. Should have studied English and Maths / Accounts / Book Keeping in Class XII or X and should have secured min 50% marks in each of these subjects, whether it was studied in Class XII or X. Even, if a candidates is a graduate or has a higher qualification, percentage of marks scored in Class XII would be applicable towards his eligibility. Typing Test Sol Clerk: Typing Test of 10 minutes duration will be administered once phase – II of the Revised Recruitment System is implemented as part of the online computer based examination for Soldier Clerk / Store Keeper Technical / Inventory Management categories (If revised system is implemented). Question Paper Clerk: For Clerk category, the entire question paper (all 50 questions) will be attempted on OMR Sheet and no separate subjective answer sheet will be used for English section. Minimum 10+2/ Intermediate exam passed in science with Physics, chemistry, Biology and English from Education Boards/ Institutions recognised for enrolment as compulsory with 40% marks in each subject and a minimum of 50% marks in aggregate. In case of a graduate having BSc Degree (Botany/ Zoology/ Bio Science) and English (Simple Pass) the stipulation of percentage in class 12th is not mandatory. Additional Subjects are not applicable for calculation of percentage. Education Qualification Soldier Tradesman: Minimum Education for Sol Tdn 10th Class Pass for chef, Washerman, Dresser, Steward, Tailor, Artisan Wood Work), Artisan (Metallurgy), Support Staff (ER), Artisan Construction) and all other trades 10th simple pass/ ITI Qualification in respective trades. Only candidates who have undertaken class X Board Exam would be considered for Army Bharti. Education for Sol Tdn 8th Pass: Minimum Qualification for Soldier Tdn 8th Class Pass for House Keeper, Mess Keeper and Syce. Soldier Pharma (AMC) Education Qualification: 10+2 or equivalent exam pass in Science with Physics, Chemistry, Biology and English. Qualified in D Pharma with min 55% marks in aggregate and registered with State Pharmaceutical Council / Pharmacy Council of India. Candidates qualified in B Pharma with min 50% marks and registered with State Pharmaceutical Council / Pharmacy council of India are also eligible. Survey Automated Cartographer (Engineers): BA/BSc with Maths and must have also passed 12th class(10+2) or equivalent with Maths and Science as main subjects. Marital Status for army bharti rally: Married persons below 21 years of age will not be eligible for recruitment except in case of real brother of battle casualty who marries widow of the battle casualty. In such cases, required documents will be forwarded to Recruiting Directorate for waiver of the QR by the competent authority. Enrolled candidates who are above 21 yrs of age and married will not ask for any married accommodation or any other allied privileges available to married personnel during the training. Unmarried Certificate:Candidates who are below 18 years of age will have to bring their parents’ consent certificate. Format of affidavit on Non Judicial stamp paper is attached to this notification. 1.6 Km or 1600 Meter or 1 Mile Run. Medical Test/Medical Exam Indian Army Bharati: Candidates for Army recruitment bharati found eligible in Physical Fitness Test, Physical Measurement Test will have to go through medical examination. Medical Test will be done as per laid down medical standards at the Rally Site. All candidates are advised to visit on Medical Test Preparation Tip for easily success in Medical Test and, you must visit on how medical exam is done? during army medical test of Complete Body also study Army Bharti Medical Test. Admit Card Army Written Exam Barrackpore: Admit Card/Hall Ticket for Written Examination will be issued on completion of PFT, PMT and Medical Test to the candidates. Admit cards for the CEE for the Review Fit cases will be issued at Barrackpore ARO after getting medically fit by concerned specialist/specialists at MH/ CH/ BH. Written Exam Date and Place Barrackpore: Written exam of ARO Barrackpore recruitment rally bharti for Sol GD, Sol Clk/SKT, Sol Tech, Sol Tech NA and Sol Tdn will be held as per program. 2/4 marks for every right answer. 0.5 negative mark for every wrong answer to GD Cat/Tdn category. -1 negative mark for every wrong answer to Sol Tech, Sol NA/ Vet and Sol Clk/SKT cat. 0 mark for answer left blank. Warning: Any candidate found cheating during the written exam will be disqualified. 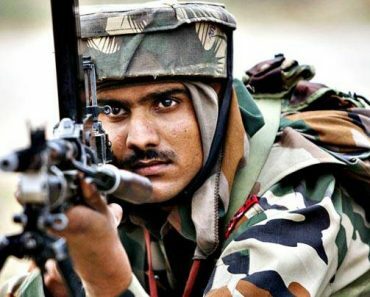 Merit Indian Army Soldier: Enrolment into the Army will be based purely on the merit list drawn as per instructions and restricted to the extent of available vacancies. More successful completion of screening tests will not confer any right to the candidate to claim enrolment into the Army. Declaration of Result Indian Army: The result of CEE will be published in Indian Army Website and thereafter the result will be displayed on respective ARO’s/RO (HQ) main office notice board. The dates of collection of call letters will also be displayed on AROs main notice board. Level of Sports: Sportsmen who have represented India at International level and State at National level and even if they have not obtained 1st/2nd position are eligible for relaxation in physical standards and bonus marks in Common Entrance Examination (if passed subsequently) as per laid down policies on the subject. Sportsmen who have represented India at International level and State at National level within the last two years. 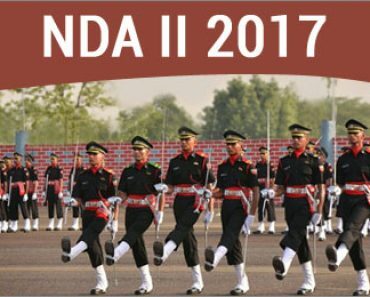 For list of sports under which relaxation in physical standards is admissible attention is invited to www.joinindianarmy.nic.in website. All Sr/ Jr National Championship certificates:- Respective National Federation. All State & Dist level certificates:– Respective State Sports Association. All University level certificate:- Inter University Sports Board. All School level certificates:– All India School Games Federation. Relation Bharti: Relation recruitment rally bharti for son/brother of serving/retired/ ex servicemen of ARO Barrackpore, Through online application. Outsider Army Bharti: Recruitment of Son/brothers of serving persons who are serving in the area of BRO Barrackpore through Outsider Sanction. Army Sports Recruitment Rally Bharti: Sports Army Rally Bharti for Sportsmen recruitment in the Army for candidates of districts under ARO Barrackpore through online application. Photograph: Twenty copies of unattested Passport size colour photographs developed on good quality photographic paper in white background not more than three months old. Computer printouts/ photo-shopped photographs will NOT be accepted. Education Certificate: Education Certificates with marks sheet in original of all educational qualifications achieved by candidate i.e Martic/Intermediate /Graduation etc from recognised School/College/ Board/ University. Provisional/Online education certificate should be certified ink signed by the head of the educational institution of concerned Board/University. Candidates with matric certificates from open school should bring school leaving certificate countersigned by BEO/DEO. Domicile Certificate: Domicile Certificate with photograph issued by Teshildar/District Magistrate. Caste Certificate: Caste Certificate affixed with photograph (Maharashtra State does not issue with photograph of the candidate issued by the Tehsildar/District Magistrate). Religion Certificate: Religion Certificate issued by the Teshildar/SDM (if religion as “SIKH/HINDU/ MUSLIM/CHRISTIAN” is not mentioned in caste certificate. School Character Certificate: School character certificate issued by the School/College Principal/ headmaster where the candidate last studied. Character Certificate: Character Certificate with photograph issued by Village Sarpanch/Muncipal Corporation within last six months. Unmarried Certificate: Unmarried Certificate for candidates less than 21 years of age with photographs issued by village Sarpanch/ Muncipal Corporation within last six months. Relationship certificate: Relationship certificate issued from respective records office only duly signed by records Officer with Personal number, Rank , Name and particular of the records officer issuing the relationship Certificate with office seal/stamp is endorsed. Original Discharge Book of Ex-Serviceman also to be produced, Name and date of birth of the candidate must have been recorded in it. NCC Certificate: NCC A/B/C certificates and Republic Day Parade certificate should have photograph of the candidate duly attested by issuing authority Provisional NCC A/B/C pass certificates will only be accepted if authenticated by concerned NCC Group Commanders. Affidavit: Duly signed by candidate on Rs 10/- No-judicial Stamp paper as per specimen duly attested by notary will be submitted by candidate. Single Bank A/C, PAN Card & AADHAR Card: Single Bank A/C, PAN Card & Aadhar Card are mandatory documents for final selection for purpose of pay and allowances and other social benefits scheme. National/International Level: Sportsmen who have represented India at International level and State at National level within the last two years. For list of sports under which relaxation in physical standards is admissible attention is invited to www.joinindianarmy.nic.in website. All Senior/Junior National Championship Certificate – Respective National Federation. All State & Dist level Certificates – Respective State Sports Association. All University level Certificate – Inter University Sports Board. All School level certificate – All India School Games Federation. Awards and Prizes (पुरस्कार एवं इनाम): National awards, Gallantry awards, Nobel Prizes (राष्ट्रीय पुरस्कार, वीरता पुरस्कार, नोबेल पुरस्कार). Geography भूगोल: Solar System Space exploration, The earth principal peaks, Deserts, Rivers, Lakes and famous waterfalls, Geographical Tallest, Biggest and Longest etc. Terminology शब्दावली: Geographical terms, Economic terms, Astronomical terms, Legal terms and Misc terms. United Nations Organisation (UNO) संयुक्त राष्ट्र संगठन, Indian Armed Forces, Indian Towns, States and Uts, Institutions and Research Stations, International space Stations and Festivals of India and World, Indian News Agencies and Dailies, Continents and Sub Continents, Inventions and Discoveries, Environment, The Constitution of India, Religious communities and Principal Languages, National and International Days, International Organisations, Books and Authors The world of Plants and animals and Current Affairs and “Who’s Who”. Human Body: Food and nutrition, diseases and prevention, vitamins and their uses. Physics, Chemistry and Biology: Question of General Science consisting of topic related to Physics, Chemistry and Biology, based on fundamentals and day to day activities. Medical Terms, Scientific Terms, Scientific and Research Institutes in India. Fundamental Arithmetical Operations: मौलिक अंकगणितीय संचालन HCF, LCM, Decimal fraction, Percentages, Ratio and Proportion, Square roots, Averages, Interest (Simple and Compound), Profit and Loss, Discount, Partnership Business, Time and distance, Time and work. Algebra बीजगणित: Basic operations and factorization, HCF and LCM, quadratic equations. Geometry रेखागणित: Lines and angles, triangles quadrilaterals, parallelograms and circles. Mensuration क्षेत्रमिति: Triangle, Quadrilaterals, Regular Polygons, Circle etc. Trigonometry त्रिकोणमिति: Trigonometry, trigonometric ratios, complementary angles, height and distances etc. त्रिकोणमिति, त्रिकोणमितीय अनुपात, पूरक कोण, ऊंचाई और दूरी इत्यादि. Logical Reasoning: The questions will be based on the logical ability of the candidates of age group ranging between 16 to 20 years. Important Notice: Recruitment is a free service. Army recruitment cannot be influenced by any touts or outsider. Don’t give money to touts and do not get involved with them. Any involvement with touts will render your candidature null and void. In case any staff member of ARO or any body else from the Army asking for any monetary gratification should be immediately brought to the notice of the authorities. ARO Barrackpore Army Recruitment Rally. ARO Barrackpore army bharti date. ARO Barrackpore army recruitment notification. RO ARO Barrackpore Army Bharti Admit Card, Barrackpore ARO army recruitment rally bharti result. ARO Barrackpore online application form army bharti. Cut off date for age, cut off marks Barrackpore army bharti. Jobs notifications Barrackpore. job notification for age group 16 years to 42 years of age Barrackpore. Comment Text*sir I am BijoyMahato, from Purulia(w.b). Sir Please tell Me the date of Barrackpur’s army rally of 2017.
sir…. B xm ka certificket show kiya to isber phisical test mai koie chut milagi kiya…yani run alag sa hoga kiya…? Purulia district ka raily kab hoga sir ? Sir,army clerk qualification (60% total average and 50% in each subject) is so high.I am 165 cm.My willing is to join army and army clerk is the my medium to join army but qualification is not in one subject 50% and total average is59.2%. Sir,in old syllabus 2014 all candidates earn their marks by writing of 100 marks but now new syllabus 80 marks writing+20 marks practical have done.So getting of marks now easy and all candidates get easily total average marks 60% and get 50% in each subject.I requested to you that old candidates is becoming useless with Central govt. decision.Please sir ,do qualification –total avg of marks50% and 40% in each subject because old candidates who is less than 23 years old,they have gotten marks in writing of 100 marks in West Bengal.I am become sorry if I have written any wrong word. sir north 24 pgs dist me army rally kab hoga 2017 me. ? when will come at bankura district army rally.please provide me SIR. i am rajesh debnath,from NCC, sir north 24 pgs ka open ralli kab hoga….plz information….plz sir…. Comment Text*amar date of birth 01/02/1997….ami ki gd te jete parbo…..
Sir 1600 mitter ka liya pahla sa taj bhagna parta hai.? I have not get 40% marks in physics..but i passed diploma engg with 70% marks in aggregrate & also each subject..
Can I eligible for soldier technical ?? Next rally bengal e kobe hbe?? Sir able saal itnedin main to rally ho gaya the.is sall itni der kyun ho rahi hai sir.is Sam kab yogi sir.jay hind. Sena me kin kin post me apply kar sekta hon? Sir barrackpore ka ye rally kab hoga ?? Plz bata dije..
Sir 24 pargana ka rally any kitna din lagega . Sir, nursing assistant k liye best five subject main 40 se jayda hona chahiya?additional subject main bhije 40 se jayda hona chahiya kya ?Please reply sir . Prasanta sardar army Indian (S.T) phone number 9563711286. Sir hooghly mei rally kab hoga. ???? Mera dob 18.3.1996 he mai gd ke liye perfect huu ki nahi..District- purulia..
SAIR MERA NAM HAI KRISHNA TEWARI MAi NE 2017 MAI NCC ” B” EXAM PASS KIYA HAI ABHI TAK MERA PASS “B” EXAM KA CERTIFICATE NAHI HA LAKIN MENA SUNA THA NCC” B ” EXAM KA ARMY RALLY MAI KUCH CHUT HOGA AI SACH YA GALAT MERA KO TO PATA NAHI. MERA DIST- HOOGHLY . ABHI TAK RALLY NAHI NIKAL RAHA HAI KAB NIKLA GA SAIR PLSS INFOR. HAMRA A. R. O HAI BARRACKPORE. AUR “B” EXAM KA CERTIFICATE KIS TARA SE HAM LOGO KO CHUT MIL TA HAI A GARUR BATYA GA PLESS SAIR. RAM RAM SAB JI. Dear Krishna, NCC B Certificate ke liye 10 Marks Extra melte hain, Bharti aane vali hai, tab tak aap ki certificate mil chuki hogi. Hi sir ma sajal chowdhury ma 2017 hs pass ha ma mara no ha physics -50 chemistry – 50 biology -60 english -46 bengli -50 ma nursing assistant ma apply karsakta hu? Mera name sourav paswan,hooghly dist se hu..sir me ncc ‘C’ certificate holder hu..hame TDN me kya benefit milega..please bataiya sir..
Sir hamara dete 26.6.1997 me Solder g.d ki laye ja sakta ho, r sir rally ane kitna din lageja? west Bengal ki barrackpur office main next rally kab hain? Hello SK, aap kya janana chahte ho? Sir , i m Pulock Roy Dakish Dinaj pur mari D.O.B _ 27.10. 1995 Army Tardman Hoga, Plz Plz Plz sir in from me? Paschim midnapur ka rally kab hoga . Sair hooghly ka rally kab hoga….???? Main electronics and telecommunications main diploma kiya hai..main Kya technical par apply kar sakta hu .???? Sir purulia mai rally kab hoga..kuch andaz sir.?? Sir army bharti me sc/obc caste ka koi benifit hai..please btaiya sir..
Army TDN bharti written exam me ncc ‘C’ certificate candidate ko koi benifit milta hai..please btaiya sir..
Jai hind sir ji, Mera Nam mritunjay paramanik hain me bankur District ka rehene bala hu, sir ji bankur District Ka rally kab hoga ? Or kitne time ke undar raning complete karna hoga ? Sir mera hight 165 inch or 166 + inch hai to mere liye konsa post sahi rahega?? Sir mera hight 165/166+ hai to mere liye konsa post sahi hai??? Or me barrackpore me rehta hu to kab hoga requirement? this is rakesh kumar singh from west Bengal north 24 paraganas. sir i want to know that when the rally of indian army is going to held in barrackpore this year. Sir,2017 mai Hooghly ka rally hoga na nahi hoga? ….sir please replay digiya..jay hind sir..
Sir mara age 30.12.1996. Mai GD mai attend kar paunga ?please sir ea bisoi mai janna bohot joruri hai…jay hind sir.. This last chance for Soldier GD, Jamkar Taiyari karo, hamari shub kamnayen aap ke sath hain. This is last chance for Soldier GD, Jamkar Taiyari karo, hamari shub kamnayen aap ke sath hain. Aap apne aap se poonchho kami kanha par hai, taiyari man se karo, apne aap ke alawa kisi aur par bharosa mat karo, safalta aap ke kadmo me hogi. Paunga. Please sir replay digiya.Ea janna bohot joruri hai. Army recruitment rally of your district will be coming soon. Prepare yourself for PFT. Sir Bankura dist(west Bengal)me rally kab hoga sir plz reply. i gave completed 3years diploma in electrinics and telecommunication engineering with 60% marks. Am i elligible for soldier technical? Army recruitment rally of your district will be coming soon, You must apply for Soldier Technical. Jai hind sir ji …mera naam manish h mera hight 158cm h or hmko army m jana h ho payega ki .nhi sir ji…. Sir, my name is Dinesh singha. My father is in army ,so I am in relation. Rally me written me kitna Mark’s melaga? I’m b.com graduate with 56% and completed my 10th and 12th with 61% but in 12th class i got 33 in one subject, i score more than 50 in math, accounts, english this subjects. Can i apply for the post of clerk in barrackpore rally. You can apply for technical and gd or tradesmen only. 60% marks in 10+2 is necessary. Mara hs may all subject 60% up hai .likhin additional subject 50 sa nicha .To may clk mai rally Da paunga? Yes you may apply for clerk, You are advised to practice for race and beam, so that you can be selected in Ist chance. Rally kab hoga barrackpur mai ??? Practice for Race and Beam till date received. 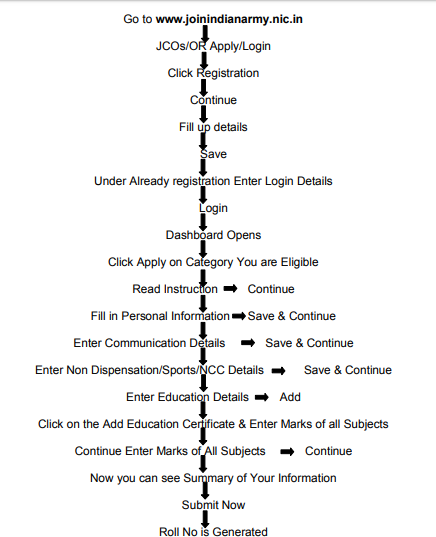 Sir may hs all 64% or har subject 50% upar ha kya mye apply kar sakta hu…..sir please reply. …..please. ……..
Sir mye ra hs me all over 64% or har subject me 50% ka upar ha to mye konsi me apply karsak ta hu…sir please batie…..
Sir I am from West Midnapur. I am state level sports man. Now I am studying in 3rd yr in Mechanical Engineering. I want to go in army technical. Kya app batayenge ki west midnapur mai amry rally iss sal me kab hoga. Please batadigiye mai bahut tension me hu. Eyesight -1.5 ..Can I join Army Any post ?? Registration kab sa hoga ? Sir ji ap kia bata sakta ha ki kabsa barackpore ka rally ka liya registration kar sakta ha ? Rally mai konsa documets la ja sakta ha? Sarj north 24 pagans ki army GD ka rally kab hoga batha saktha Ho plz.Inthajar kartha kartha ummid tutraha.firvi commando ki ak batha kano ma guc rahia jab tak Jan ha tab that kocis math carna. Plz plz plz bathy app.i miss you INDIAN ARMY.jay hind. Sir mera hight 175cm he me 4minites 40sec me race desakta hu par mera iti pass nehi he me H.S pass hu. Kya me tradesman me apply kar sakta hu..
Hoogly ka rally kab hoga ?? ?or name registration kiya suru ho gaya ha??? Sir mera 12 th commerce stream se 72 % se pass hua hun….or mera sabhi subject me 60 se upar hai but mai…. Additional subject me fail hu to kya sir mai army clerk level ke liye apply kar sakta hu please bataiye sir…. and Sir main Computer Science & Technology main diploma kiya hai…… main kya technical par apply kar sakta hu kya ????? Sir mera class-x me English me 45 number hay kya may clerk Me apply kar Sakta hoo!!! Sir is bar army rail me pahale exam hoga ya run….?! Jay hind sar .WB ka bankura district army rally kab hoga? Sir barrackpore ki rally k liya online registration labsa chalu hoga?????? Sir barrack pore ki rally ka liya online registration kabsa suru hoga? Comment Text* sir barakpur rally me jane kaliea kya kuch from fillup karna parta hai? agar parta hai to kaha se kayse karna bata dijiya sir? Barackpur rally ma Jana kalea majuko kea from fill up karna paraga and aea from kaba baraba . sir barrackpur ka rally main Birbhum district nehi hai kya?? sir is their have Birbhum district in Barrackpur rally?? I am from jalpaiguri district,can I apply for these post? Respected sir, I have completed my HS in 2014 but sir in my 4th subject the history has not 50% mark,but the other 5 subject which is known as best of five have 60% over marks..so sir can I apply for Indian Army Clark exam .sir please sir reply me ..
Mera registration phalacha ho gaya. Mujko rally Jana kalea kea or online from fill up karna paraga .ples sir tell me. ARMY GD ke liye from fillp ker sakta hu????? I am from bardhaman dist.wheather i will be able to apply or not? Army TDN bharti written exam me ncc ‘C’ certificate ko koi benefit milta hai sir..?? Sir, mey M P pass kiya hu….aur….H S…..WBSCVET Board se kiya hu…..tooo mey…. ARMY GD post ke liye apply ker sakta hu. Jai hind hind burdwan distic ka relly kab tak ho sakta hai.. Sir..
Isi liya ma Exam pass kar nahi paya…. good morning sir, mera nam he asajul sheikh I love Indian army sir, metric me mera English me 48 number he or math me 55 he total 61/ he or Hs me all subject 50 ke up he or total marks he 65 / me keya clerk me ja sakta hu… plz reply me sir ………. My home is West burdwan .can I join the rally?? Sir i am from birbhum. can i apply barrackpure rally ? Mai clerk ke liya apply karna chata hu .hooghly ka rally kab hai???? Sir army rally form fillup date bataw? Sir mere Nam mallick.mp english&math-56&45hoga.hs ka 80%.every sub:66%up.english-71%.may clerk apply kar shakti. I am so interested to join indian army in the post of clerk . I am passed Higher Secondary exam in 82% numbur in this year and i haved passed matriculation with 74% number and got 72 in math and 68 in english each subject. My weight 58 kg and hight 174 cm. Now can i apply for the post of clerk? I think my answers as soon as give. Thank you. Sir mp 55% math 55% engg 35% hs 80% engg 70% sobsubject a 70% up clark apply kor sakta ho sir …. Sir domicile certificate k Bina rally join Kar Sara hu? Domicile certificate k Kiya apply Kia but Avi tal behind Mila.. kia mai rally mai ja Sakta hu??? Army clerk ke liye apply kar paonga? How many vacancies in the rally ARO Barrackpore in the post of clerk. Sir ncc B certification hai aur kya army clerk me benefit milta hai kya?aur milta hai to kitna marks ka benefit milta hai ? Hi Mallick, Please check and re-apply – Soldier Clerk / Store Keeper Technical. (a) Should have secured 50% marks in each subject and 60% marks in aggregate in Class XII. have secured min 50% marks in each of these subjects, whether it was studied in Class XII or X. Class XII would be applicable towards his eligibility. Clerk / Store Keeper Technical / Inventory Management categories. Sir Murshidabad district er hobeto? Hi Roy, Education Qualification for Tradesman: 10th Simple Pass/ ITI except for Mess Keeper and House Keeper, who may be 8th Simple Pass. Thank you. Hi bachhar, Reply given many times, follow the procedure. Hi Ray, Please check your physical and education criteria for recruitment in the Army and apply as par procedure. Hi Mondal, Education for Tdn 10th pass simple for few trades 8th pass. You can apply for tradesmen category. Hi Biburmahato, Apply as per your education qualification. I have one query. May I fill my form general duty (G.D) and soldier Clark at the same time? Will it create any problem? Please help me. Hi Afridi, You have to apply for one category only. Hi Hisab, Aap taiyari karo bharti 2018 me ayegi. Sir maine t.d.n me hissa LenacLenachahati hu but m.p me total 297 he aur history me 32 math me 31 he to maine from full up nehi horahahe . Aaur me h.s pass bi hu to kiya me h.s resul submit lot sakti hi? Hi Samir, Education for Tdn is ’10th Simple Pass/ ITI except for Mess Keeper and House Keeper, who may be 8th Simple Pass. Please try again as per your eligibility. Sir mai 163inch ka hun …kya mai tradesmen post mai apply kar sakti hun??? Hi Ghosh, kya aap ki lambai 163 inch (13 feet 7 inch) hai? Sayad ise 163 cm hona chahiye, apply for clerk as per education qualification. Hi Nandi, Try again or contact Nearest ARO. I am chiranjit mahato form purulia. 67.5 over all persantage hay phir bhi clerk post per apply nahi ho rahi hay sir .sir higher secondary exam ki koyi value nahi hay kaya sir. Secondary exam mere over all persantage 47.5. Per apply nahi ho rahi hay…..
Sir mai December 2016 me S.D.O permanent resident baniya tha … sir puruliaka rally hai 24 october , tabtak kiya is residentki value rahega…? Please sir … answer dijiyega……. my self debasish gorai,from bankura. h.s percentage 60.75% all subject mai 50 marks with english and my mp percentage 60.75 % but english (46),history (44)and geography(45) marks hai.sir mai cleark post par apply kar sakti hu.please reply me sir. 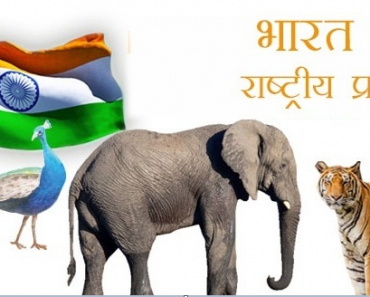 jai hind. sir apply nahi ho raha hai,not eligible arha hai,plz sir help me. sorry sir apko itni bar disturb karne k liye. sabji mai ne instruction check kiya.sir eligibility check korne k bakt clerk trade aaraha hai.but last time final submit karne bakt not eligible a raha hai. please sir help me .jai hind. Hi Gorai, Niyam badalte rahte hain, jo pichhali bar tha is bar nahi ho sakta aur jo is bar hai agali bar jaruri nahi ki ho. Visit ARO Barrackpore Notification and apply as per instructions given. sir is bar notification pei lika hai cleark post par apply karne liye oll over 60% and per subject 50 marks cahiye.or sir hs mei mera 67.6% hai ,per subject mei vi 50 marks,firvi not eligible dei raha hai. Contact your Recruiting Office along with complete documents for clarifications. sir recruting office brrakpore mai ? bankura, west bengal k liye. Hi Gautam, Pahle Physical Hoga. May sahid afridi. Mera date of birth 04.09.1997 lakin galti se 04.09.1998 ho gaya to is ka solution kiya hay please sir boliye. will it create any problem in my rally on the field? Please help me. Jao hind sir mera Nam raunak banerjee gain or main Howrah se hu sir main ye puche Na chara ta Hun ki Jo online registration se affit avit bills gain USka kiya karna gain? ?or dusra sir mera father ka puche sakale death ho gaya hain to affit avit pe Sig of father likha hain haha pe avit hum Kuala sign karna wait this bataya dijiye sir ji. Hi Banerjee, Affidavit rally site par le jana hai. Hi Das, correct your profile before last 3 days of closing date. Just I miss india army rally…. I’m bidhan gomosta, now at class 12.-5/6ft, 54w plz plz plz plz plz sir l love army..
photograph background white but dress colour? Sir may Murshidabad SA hu kya may barrakpur tally may apply kar sàktahu?.. karsakta hu to bata do.. plzzz..
Sir Admit card kab se milega plz information……. Hi sir amay army ta vorte hota chi amaka ja bolban tai korbo amon ki pran ta oo deta park..
Really ami khub khub echa army ta vorte hota……………. Sir rally me kitna photo le jayenge.. Aur colour photo hoga ya black n white..aur kitna size ka hoga.. Plz sir jaldi btaye..
Jai hind sir..mera name sourav paswan hai me hooghly dist se hu..next bharti hooghly dist ke 2018 me 1st and 2nd january me hogi..oo too open bharti hai..us bharti me with out application ka jaa sakta hu…pls btaya sir..
Jai hind sir..mera name sourav paswan..me hooghly dist se hu..ek ncc cadet’C’ certificate holder..hooghly dist ka next bharti 1st and 2nd january 2018 me hogi..lekin application Doo din k liye khuli thi..us me v server jam rahene k bajese apply nahi hoo pai..too sir pls btaiya application fir se khulay ge..yea with out application k ground me jaa sakta hu..Q ke yea too open rally hai..pls pls btaiya sir..
Hi Paswan, Contact your Army Recruiting Office on the issue. Sir,ma B.A graduate hu 50% Mark’s ha mara,ma army k kon kon se post par apply kar sakti hu……..
next notification date for army rally??? Hi Suman, 01 to 02/01/2018 army recruitment rally at DUMMY STADIUM is confirmed. Sir…..my height is 153 cm…Am I eligible for this rally? Heloo Mehul, You are under height for army recruitment. sir GD aur TDN Hai sir ???? aur online application kb se bhar paunga?? Suman check on Visit on “All India Army Open Rally Bharti Program 2017-2018” for complete recruitment information. Hellow Suman, Check on “All India Army Open Rally Bharti Program 2017-2018 ” for complete bharti details. I am Arnick Roy. My brother Soumyojit Roy has gone for rally at Bankura RCTC ground on 07/11/2017 for GD trial,from dist-West Midnapore.Though he full fill all the required criteria and passed H.S. (Higher Secondary) according to online information there is no % considered if any one passed 10+2.But still he has not been permitted to run in the rally.. due to lower in marks.But how is it possible kindly make me know sir.I’ll be highly obilized and thankful to you. Hello Krishna, Aap ka mool nivas praman patra jahan ka hai aap vahi se apply karo. Namesta shirji .maa east midnapur see huu shir Mera 60% number haii matrick ma par history pe 32 hai kaya maa soldier gd pe apply Kar Sakta huu ??? Mera age hai 17.6 …plz reply me shir..
Hellow Govinda, Check on “Army Bharti Program Kikali” for army bharti information. sir 2018 1jan bankura district rally start Hoga kya? When the next army rally of purulia district? sir, In which district Dummy Stadium is situated? Hello Ali, Your district bharti programme will be givan in admit card. Sir 2018 me barakpur rally hoga. ?? Sir 2018 me Barakpur rally hoga?? Sir ma graduate hu Bengali ma 50% marks ha mara kya ma army Clark ka leya apply kar sakti hu…. 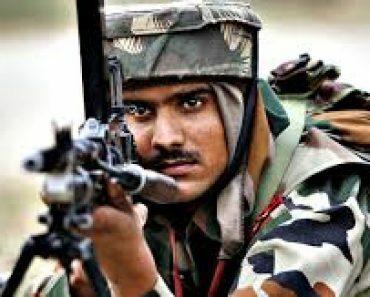 Hello Surya, Education for Clerk in the army is “Soldier Clerk/SKT: 12th pass/Intermediate/Higher Secondary Exam pass in any stream (Arts, Commerce, Science) with 60% marks in aggregate and minimum 50% in each subject. Should have studied and passed English and Maths/Accts Book Keeping in Class X or Class XII with 50% marks in each subject.